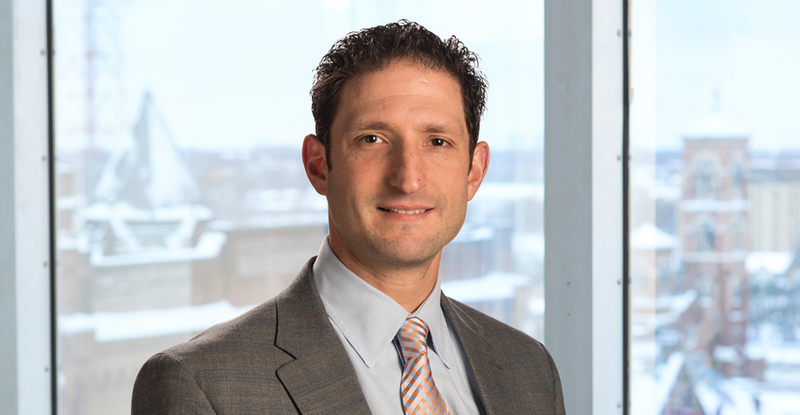 Alan is a partner with the firm and an experienced trial lawyer litigating across Upstate New York. He has substantial experience across a broad range of practice areas, including insurance defense and coverage litigation, commercial litigation, personal injury and landlord and tenant law. Having grown up in the construction industry, Alan has developed a particular focus on litigating construction defect cases and cases involving architectural and engineering claims. In addition, Alan also concentrates his practice on issues surrounding contractual and common law indemnification; a topic on which he writes and presents frequently. He regularly assists clients in litigating such indemnification claims, including the recoupment of legal fees. The centering principal of Alan’s work is to always put the client’s needs and concerns first. From the very beginning of each case, Alan critically assess the claim as a whole and develops a plan to ensure that the matter is brought to a resolution as quickly and economically as possible. Alan’s collaboration with his clients and inclusion of them in every step of their cases helps ensure outstanding results. Insurance Defense, including Labor Law Liability, Construction Law, Contract Disputes, Product Liability, Professional Liability, Toxic Torts and Appellate Practice; Insurance Coverage, Personal Injury, Landlord and Tenant Law and Commercial Collections. Alan has written extensively on the issue of indemnification and has presented numerous times on various subjects, including liability questions, indemnity, construction issues, and the New York CPLR.